FoodShed’s design blends materials, colors, and shapes that inspire, engage, and provoke curiosity and conversations about the café. Photo by Toeniskoetter Construction, San Jose, CA. 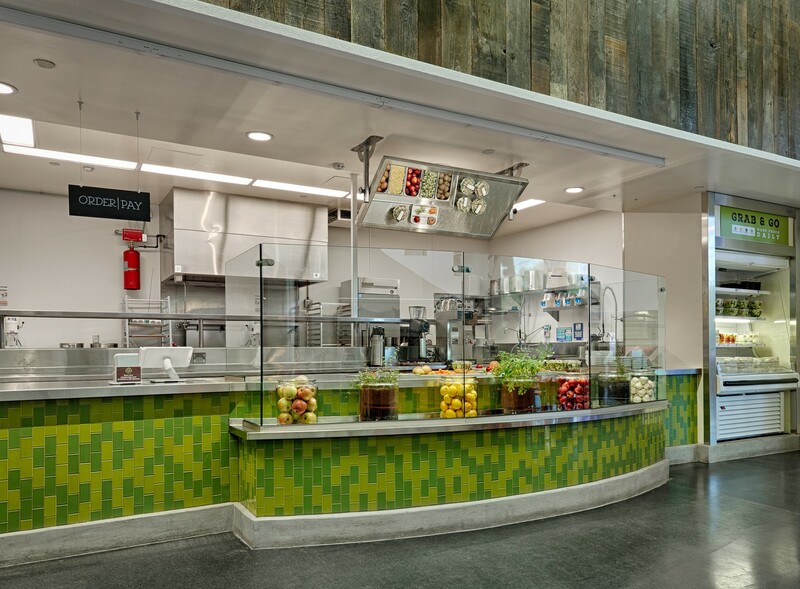 Special features on the “Rainbow Counter" include a ceiling mirror so that children can easily see and select from a rainbow of fresh produce and a lowered counter section (eye-level for young visitors) filled with colorful fruits, vegetables, and herbs. 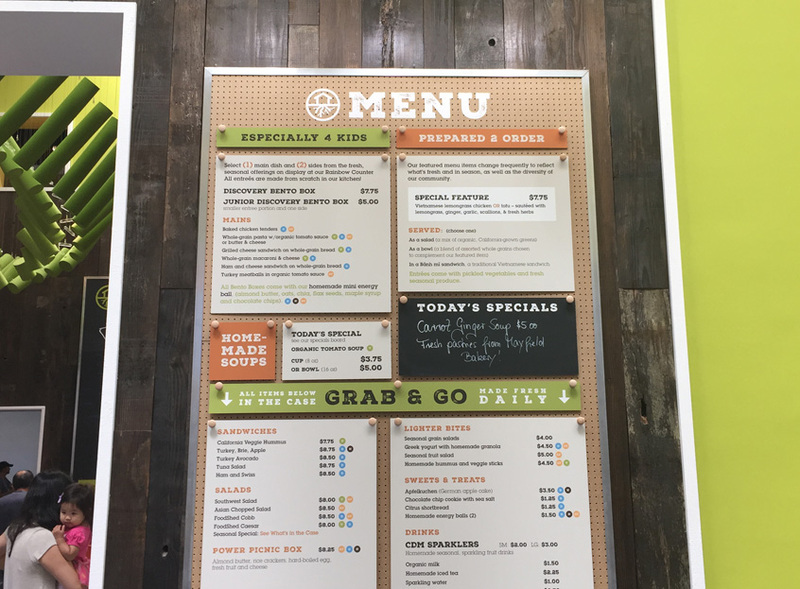 The large menu board, made from many materials found in a shed, is both simple and flexible, making it easy for visitors to read and for the café operator to update. A large map of the museum’s actual foodshed highlights where specific ingredients come from, using magnets that can be moved as suppliers and seasons change. 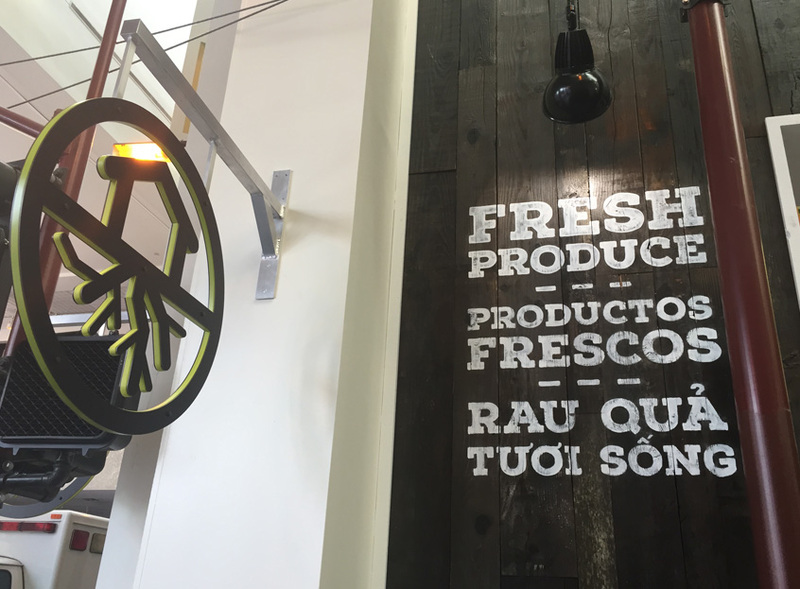 FoodShed’s brandmark and signage are accessible to the wide range of visitors the museum attracts, who come from many cultures, languages, and backgrounds. 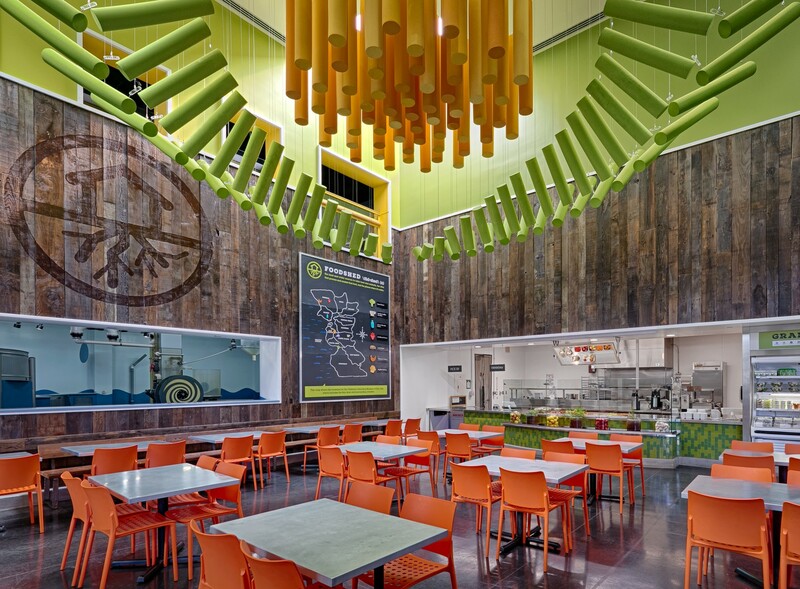 In response to a challenge issued by Alice Waters, Children’s Discovery Museum (CDM) sought to create a delicious, satisfying, and financially successful café that supported its programmatic message to “Eat a Rainbow Every Day.” However, after 25 years of foodservice losses, both CDM’s executives and board were concerned that it would be impossible to run a café that offered delicious, healthy food – and made money doing so. For the project’s first phase, KK&P led the board and administration in envisioning a different, more thoughtful, and robust foodservice experience at CDM. Each option was grounded in detailed business models. Discussion about these different options enabled all stakeholders to align on future direction and fundraising goals. 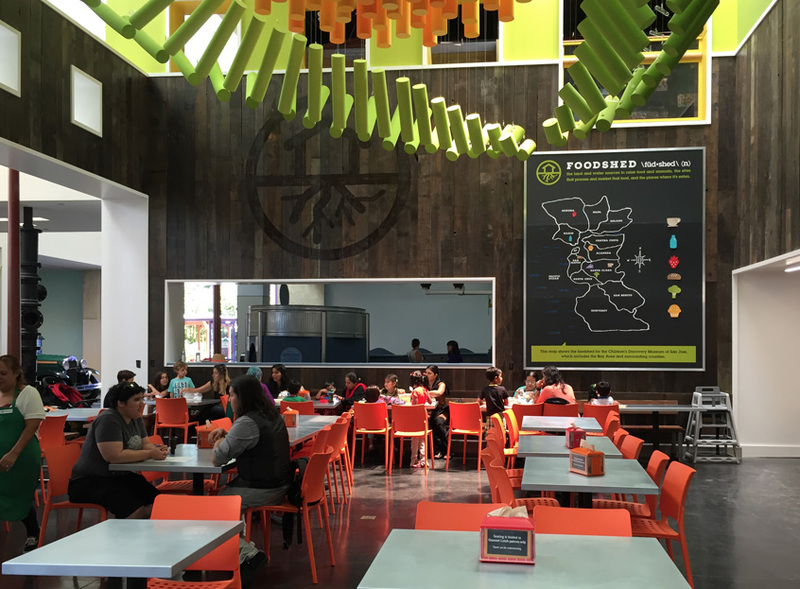 In the second phase, KK&P helped the CDM team execute the vision of creating a space where children and their families engage with, learn about, and enjoy fresh, healthy, tasty food. Our work included: assisting with development of a new brand identity, FoodShed, which speaks directly to the café’s mission and philosophy; articulating Foodshed’s values and goals; identifying and overseeing a talented team of architects, designers, contractors and suppliers; and successfully collaborating with all partners to open the café on time and within budget. In its first full month, FoodShed far surpassed sales projections, setting the stage for future success and programmatic expansion.